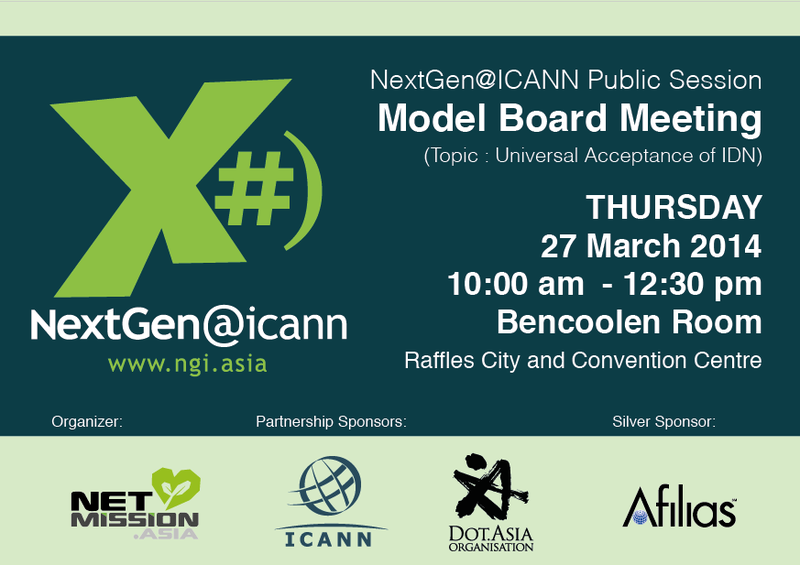 The NextGen@ICANN public session are divided into 2 parts, which firstly there will be a Model Board Meeting aiming to replicate the ICANN process and simulate the multi-stakeholder model, through role-play by the young adult delegates. The second part of the session will focus on their NextGen@ICANN Experience, the young adult delegates will share their observations and exchange views on how youths can engage actively in ICANN activities. The session is open to all members of the ICANN community and encourages their feedback and ideas exchange with the delegates.